This is one of those dinners where you get to eat with your hands, my 9 year old loves them so much because they taste great, but also because he can eat with his hands. It is a quick and easy recipe that tastes so good with very little effort. You actually don't get full on the mussels, it is the crusty Italian Bread that is the filler, it is used to soak up all that gorgeous sauce. This is especially amazing when the mussels are in season and full and plump. Not an attractive dish, but extremely delicious. If there is any leftover sauce I pour over cooked pasta for lunch the next day, or add it to a risotto, no waste. So if you are looking for a quick and easy way to impress your family and friends this is a great recipe for that. 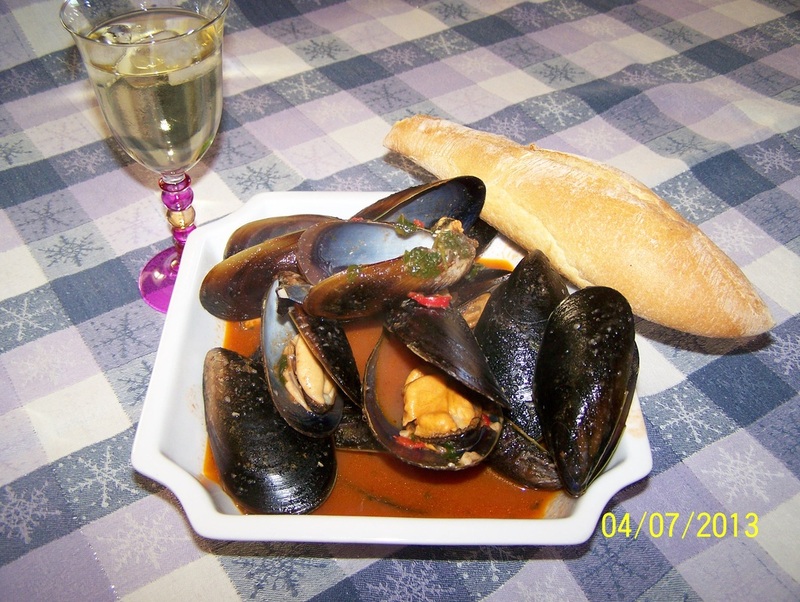 Take the mussels out of the refrigerator about 30 minutes before you start cooking. 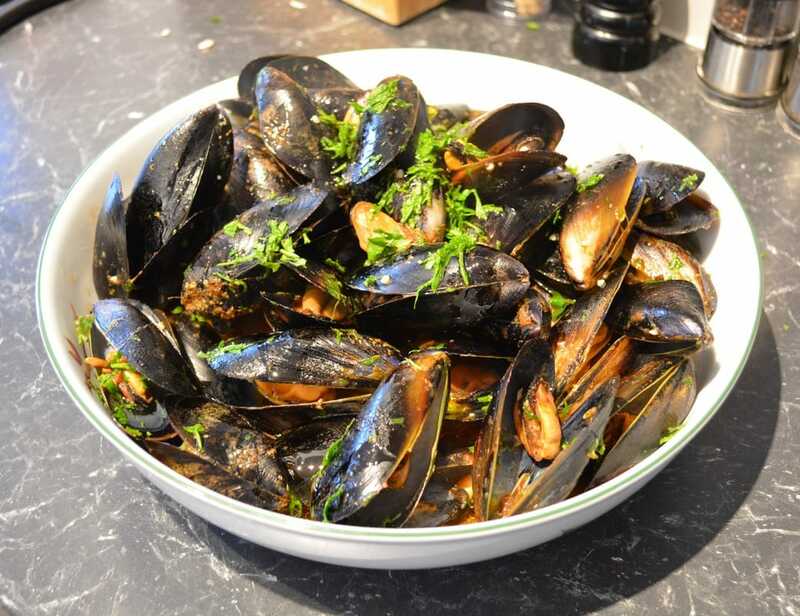 Heat a large saucepan until very hot, now add the mussels for about 30-60 seconds until they open very slightly so they release the salt water from them. If you don't do this step your sauce can be too salty to eat. Pour the mussels into a bowl and leave until needed. Add the oil to your saucepan, now over a medium-high heat, add garlic and chilli, fry for 15-30 seconds, just until you start smelling the garlic, don't allow the garlic to burn. Add the tomato passata and parsley, stir, when this comes to the boil, add the mussels and pour over the wine. Cover the saucepan, increase the heat to high. Shake the mussels around in the saucepan so the sauce coats them. Shake the pan every now and then so that as the mussels open the sauce goes into the mussels. This only takes 30-60 seconds. Now if you want a thicker sauce, add the breadcrumbs, cover the pan, shake the mussels about until the breadcrumbs are mixed in well. Pour into a serving bowl, sprinkle over some extra chopped up parsley and serve immediately with Crusty Bread.